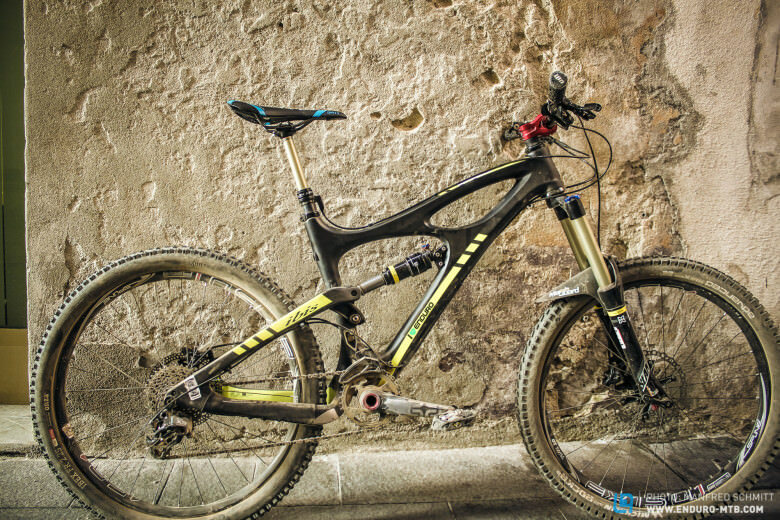 Anyone who has been to an Italian SuperEnduro will have witnessed first hand the success of the Life Cycle team! 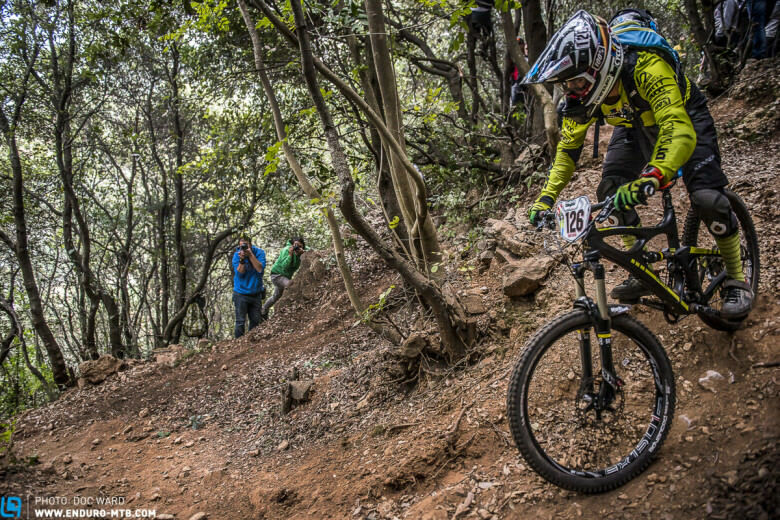 This passionate collective from San Remo are a group of dedicated bikers with a clear goal in mind: to promote and to develop Mountain Biking in the west coast of Liguria. 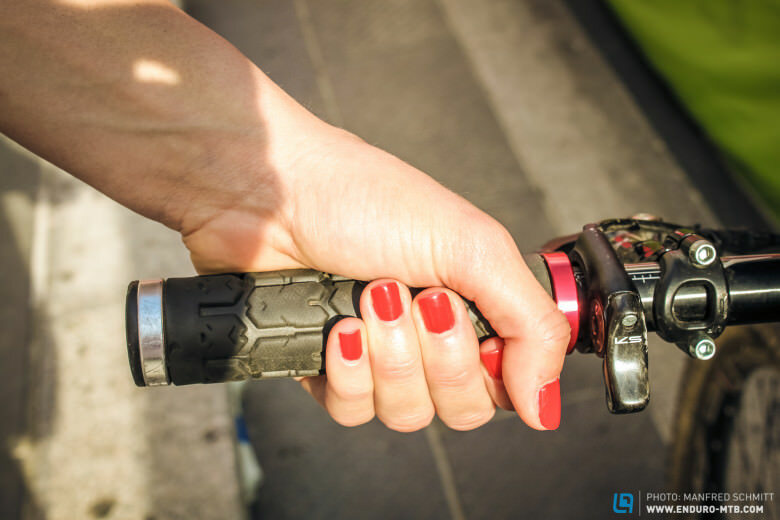 With a strong lineup of Manuel Ducci,Valentina Macheda, Paul Aston, Dorian Zuretti and Christopher Bertotto, they have one of the best enduro teams in Italy. 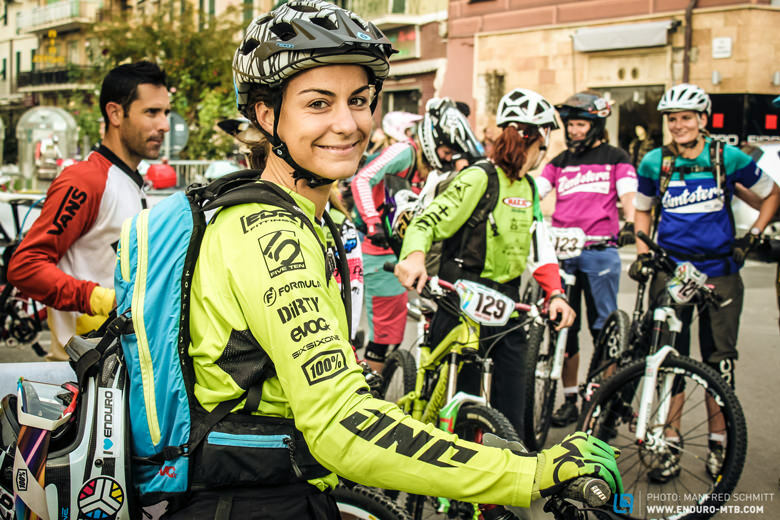 Valentina Macheda has been a dominant racer in the womens SuperEnduro circuit, and despite not attending the Whistler and Colorado rounds of the Enduro World Series, she finished a solid 18th overall! 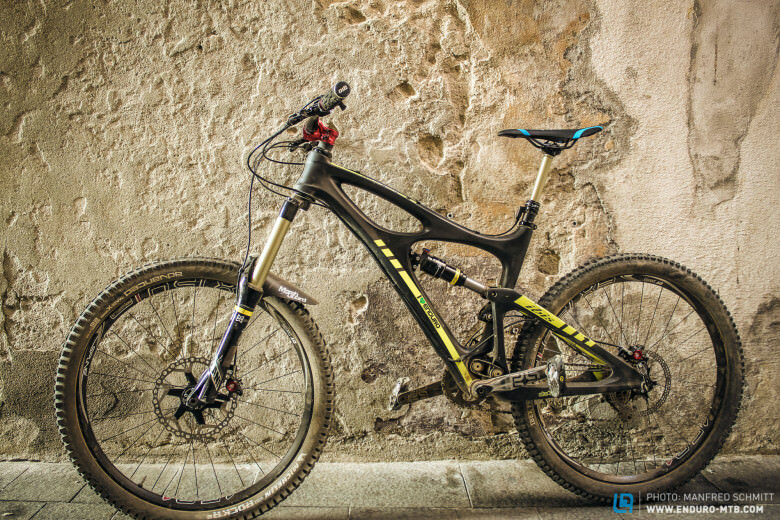 Valentina is currently riding a new IBIS Mojo HDR. 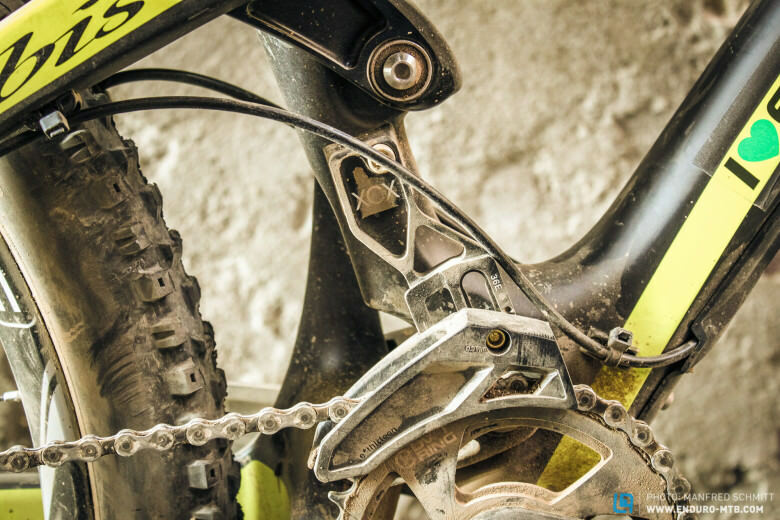 The new HDR is the latest incarnation of the long serving Mojo HD, offering 650b compatibility improved provision for chain devices, and a half pound weight saving on the frame. 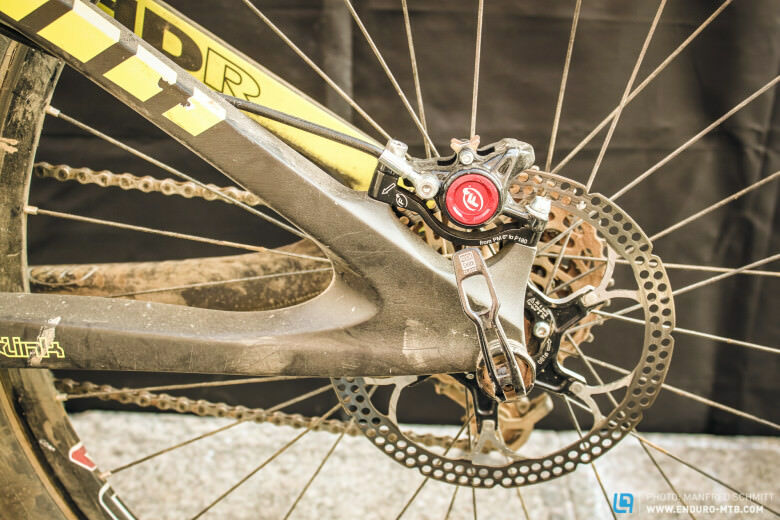 Valentina is currently running 26 inch wheels on the HD-R in 160mm mode. 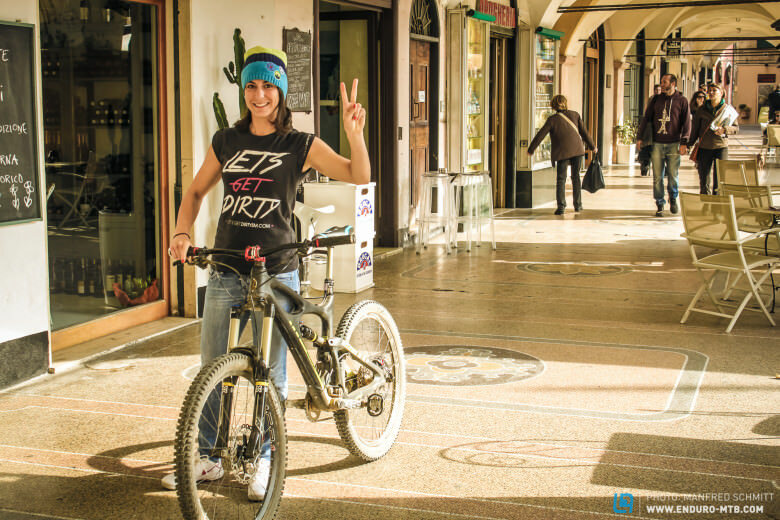 We caught up with Valentina in Finale Ligure and she was only too happy to show us her bike! 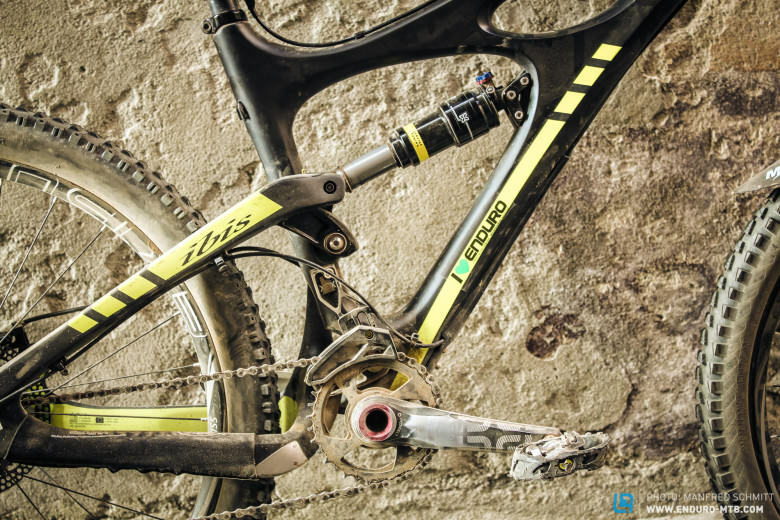 The new Ibis Mojo HDR is a revised design of the HD, Valentina is currently running 26 inch wheels in 160mm mode, but the bike also supports 650B wheels in 130mm mode! 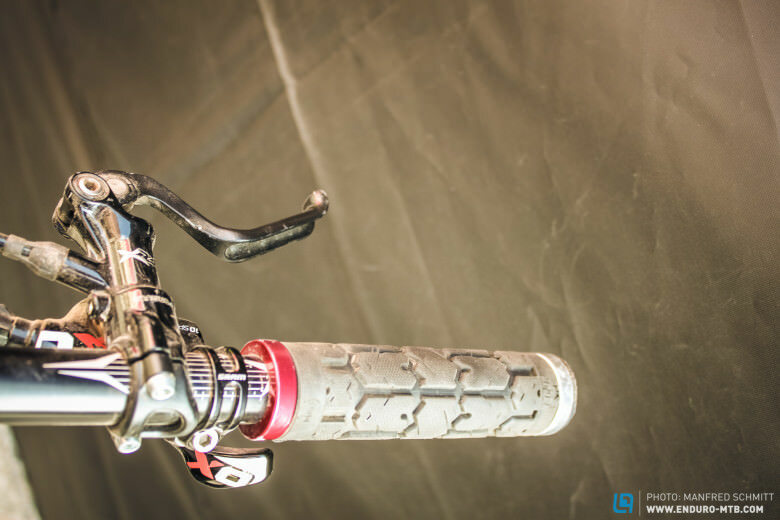 Valentina chooses to use X-Fusion suspension with a X-Fusion Slant 34mm fork and O2 Rear shock! Valentina uses a Production Privè bar and stem! 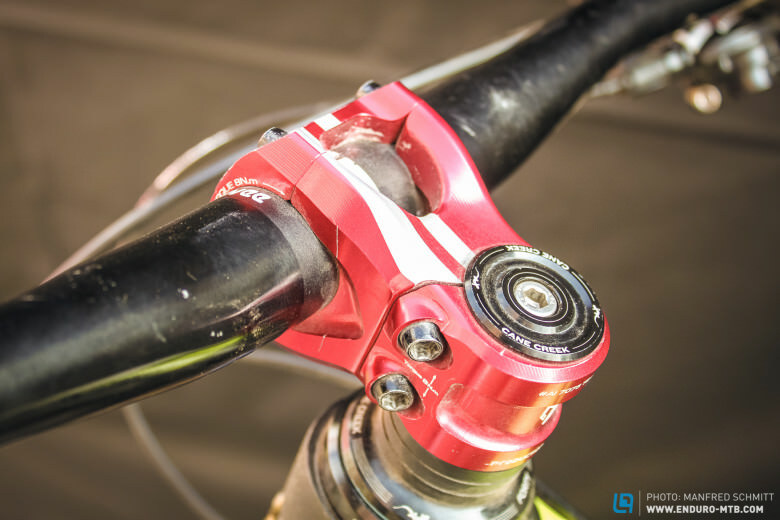 Formula TheOne brakes handle the deceleration, and SRAM XO shifters provide the power! 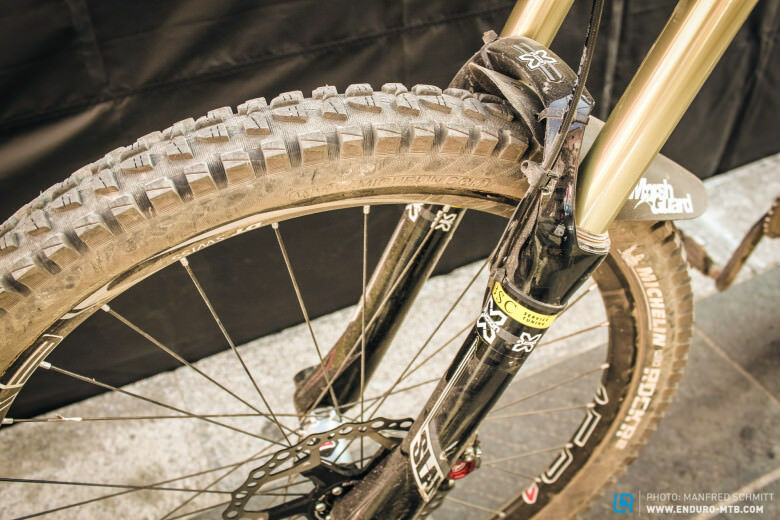 Valentina chose the 26inch Michelin Rock Grip tyre to find traction in the loose dust and rock of Finale! 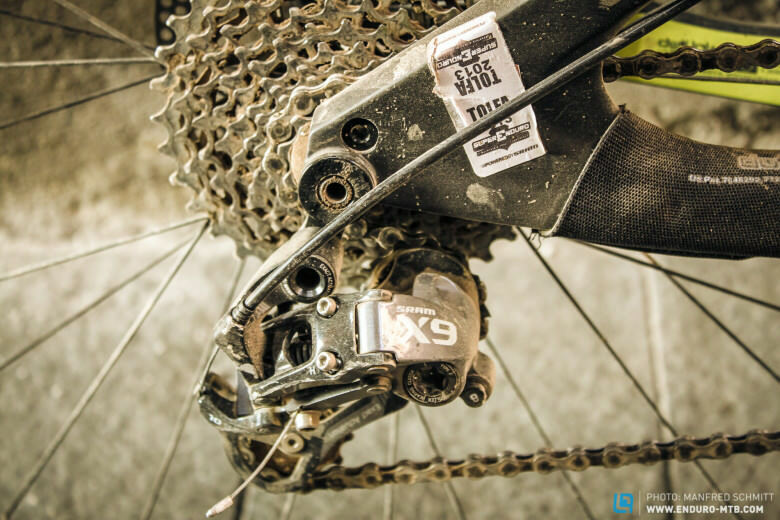 A light XCX e*13 guide keeps the chain under control through the rough terrain! Formula TheOne brakes and a fast rolling Onza 2.25 Ibex tyre look after traction at the back! Worth their weight in gold. 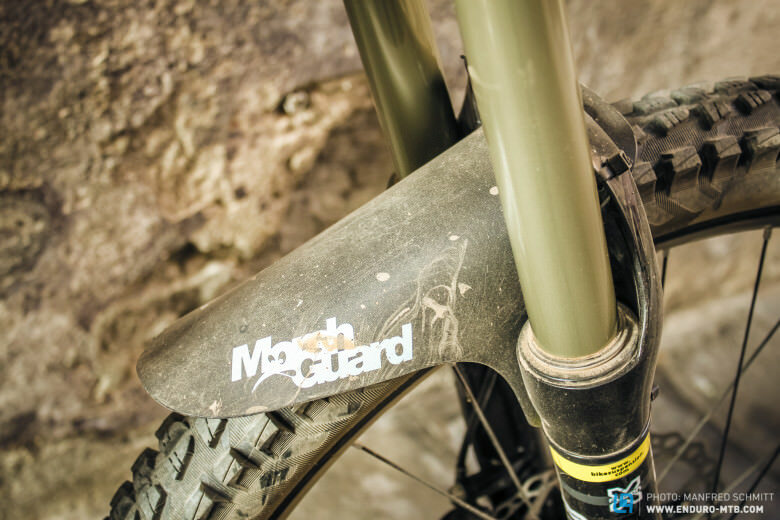 These tiny, simple guards keep the mud from your eyes and transform your riding in the mud. To hear more about Valentina, check out her page.